It is freaking cold in the morning and night these days. 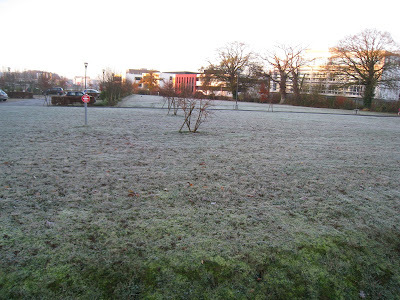 This morning it was under 1 Celsius. 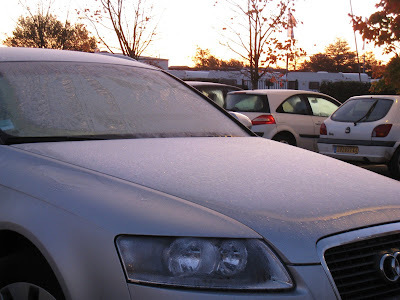 When I arrived at the parking lot, cars parked outdoor were all covered with a layer of ice. In this kind of weather I can't even wear my new boots, afraid to fall down with the high heels. I'm so eager for the vacation in Malaysia and that winter will be over soon. I am counting days to go back MY too! hoorayyyy! No, don't say Happy New Year now!